First Listen: Passion Pit, 'Gossamer' The band follows its 2009 breakthrough, Manners, with an album of pure catharsis. It's all about strength, moving forward, forgetting — and giving life to the party even as it doles out condolences to the lonely. 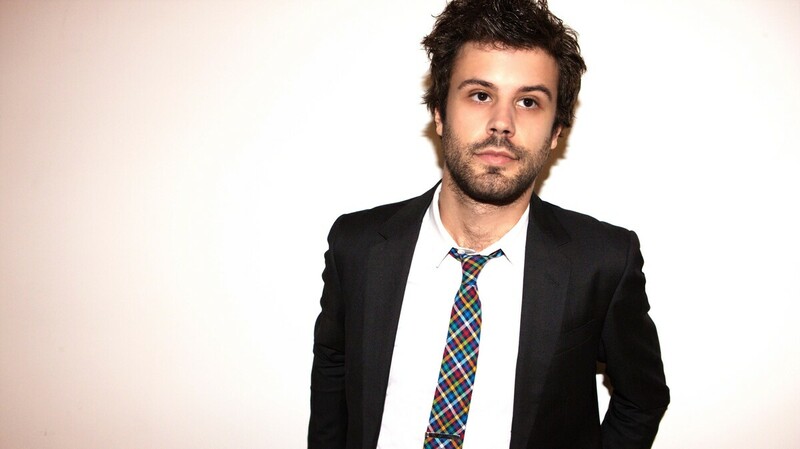 Passion Pit's new album, Gossamer, comes out July 24. Gossamer is a perfect title for Passion Pit's new record. The long-awaited follow-up to its breakthrough album, 2009's Manners, finds the band spinning shimmering silk from many intricately layered threads: airy synths, warm bass, crisp snares, crashing cymbals, singer Michael Angelakos' expressive falsetto. Each song positively glows. Grace and delicacy encompass only part of Gossamer's appeal — at times, the record is bombastic, even brutal. "I'll Be Alright" opens with bass blasting, synths slashing and cymbals exploding in a wash of digital clipping, while snippets of baby-voiced cooing mimic the infectious melody Angelakos is about to introduce. It's daring, powerful and impressively nuanced. Gossamer stands out for its depth and richness; its variety of textures. In "Cry Like a Ghost," chiseled, sampled squeals cut sharply through whirring keys and fuzzy low-end before opening up into a spectral, synthesized chorus. In "Constant Conversations," the band juxtaposes soft harmonies and concrete kicks to give the slow jam an R&B-style sway. Gossamer vacillates like a torrid romance: Every moment is touch and go, on and off, quiet as a whisper and then loud as a yell. Angelakos' lyrics suggest a love life filled with ups and downs. "Cry Like a Ghost," for example, finds him remembering a relationship trapped in a vicious cycle: "Sylvia / Right back where you came from you're a pendulum / Heartbroken and numb." But he doesn't wallow in the sadness: Gossamer is pure catharsis. It's all about strength, moving forward, forgetting — and giving life to the party even as it doles out condolences to the lonely.